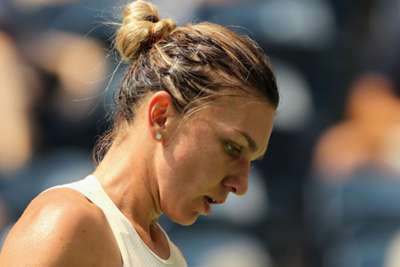 World number one Simona Halep has withdrawn from the WTA Finals as she has not fully recovered from a back injury. Kiki Bertens will make her debut in the end-of-season tournament in Singapore next week after Halep pulled out on Thursday. The French Open champion sustained a herniated disc in a practice session at the Wuhan Open last month, but vowed to play in the WTA Finals. Halep withdrew from the Kremlin Cup this week as she continues to be troubled by the injury and is taking no risks. "The decision was tough for sure," Halep, who had flown to Singapore ahead of the tournament, told WTA Insider. "It's always difficult to withdraw from a big tournament. Actually, I think it's the first time in my life. So it was a tough decision but it's better for my health. Breaking: Simona Halep has withdrawn from @WTAFinalsSG due to back injury. "Darren [Halep's coach Cahill] was 100 per cent to withdraw because he's worried about the back and it's better to put the health first, always. "He always did that with me since we started. So he was more sure than me that we had to pull out. Then when I heard that he agreed with this it was easier for me to take the decision. "My back is not okay. I didn't practice for the last four weeks. I'm not ready to compete at this level and I'm still sore. It's not easy to go on court and compete at this moment. "It's the same back problem from Wuhan and I need a break to heal it. I need three to four weeks doing exercises and having a break and it should be fine. So I have enough time now to get ready for the off-season and to get ready for the next year." Halep ends the season with three titles, including her maiden grand slam triumph at Roland Garros. Bertens steps in for Halep as the world number 10 is ninth in the Race to Singapore.